There are a lot of mods available for Fallout 4 online, whether they be for Xbox One, PS4 or PC. Most of them can be found over at Nexus Mods for PC and Bethesda.net for Console. Installing mods can definitely be a risky task at times. Not so much the case on console, but installing mods incorrectly or with other mods which aren’t compatible can cause some pretty serious crashes and errors. The most common being ‘Not responding’ after launching the game. 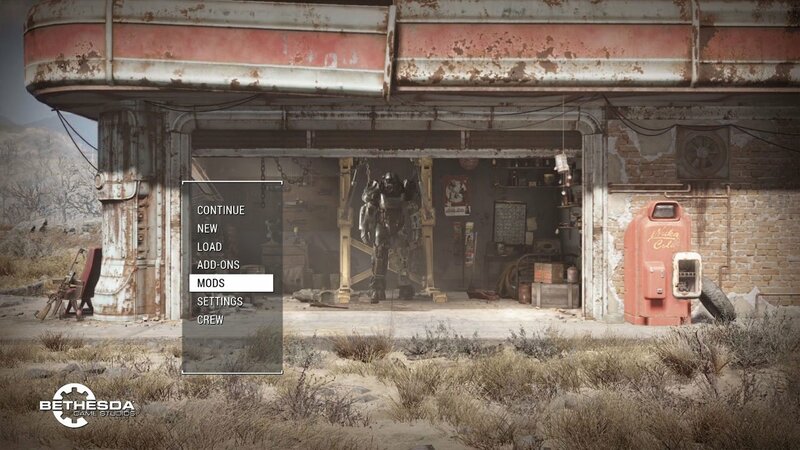 Thankfully, there are a few steps you can take in order to fix Fallout 4 mods not working. Below, we’ll list a few tips and guides for PC, Xbox One and PS4. One of the most common fixes for broken mods in Fallout 4 is sorting the load order. It’s a task you usually have to do after installing any mods to ensure they run correctly. In a mods description, sometimes they will tell you whether you should place your mods to load first, or last. You can do this in Nexus Mod Manager yourself, by heading to the Plugins tab and dragging the .esp files around. However, it may be easier to do it automatically, which can be done with a different program. 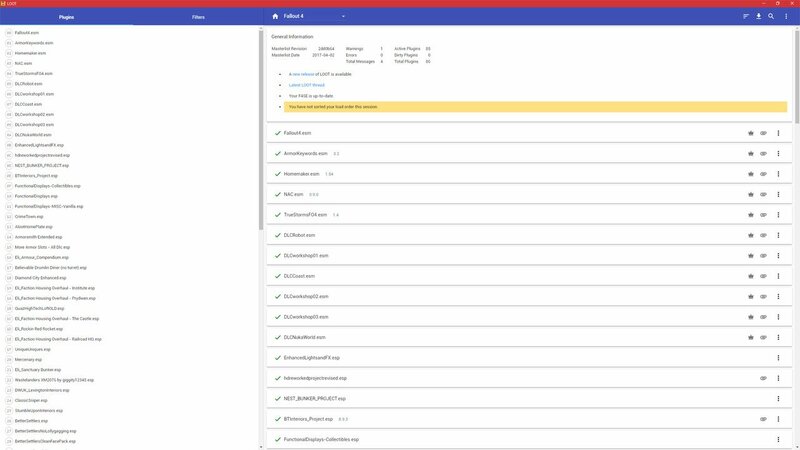 With LOOT (Load Order Optimization Tool), you can have all your mods sorted out at the click of a button. You can install LOOT here. After doing so, you may need to do a first time setup to point it towards your Fallout 4 mods. This also works with Skyrim mods. In the top right corner, click the icon with the 3 lines to sort your load order. Then press ‘Apply’, again in the top right. This should sort your load order out. You can try running Fallout 4 again to see if mods are working. Otherwise, you may be struggling with a compatibility option. Some mods can’t work together. One example would be running 2 weather mods together, as they will have conflicts. Most mod descriptions on Nexus Mods will say if there are any compatibility issues. If you have a lot of mods installed, this might be a tedious task to do. Therefor, try disabling groups of mods one by one until the problems resolve. Disabling graphics mods, check. Disable weapons mods, check. This is one of the more reliable ways, eventually you can pin point which mod is causing crashes. When it comes to PS4 or Xbox One, the steps aren’t too different to PC. Again, mods have to load in a certain order, otherwise they can overwrite each-other and cause conflicts. Unfortunately, this can’t be done automatically like it does on PC, so you’ll need to do it manually. You can adjust the load order from the in-game menu. Head to the ‘Mods’ section, and choose Re-order. There is no secret to organising mods. Most of the time, the default load order will work. Mods load from top to bottom, so if you want to give a mod some priority over others, move it towards the top. You can read the description of mods over at Bethesda.net to see if they recommend placing mods in a certain order. If sorting through the load order doesn’t fix your problems, you are most likely suffering from mod conflicts. You will need to check a mods description to see if it suffers any known issues with other mods. Otherwise, you can guess for yourself. Using two different weather mods together is a good example of problems you might face.